Managers at the Beaver Valley Nuclear Power Station got some advice this year from a panel of unlikely consultants – high school students. Blackhawk High School students studied federal regulations for problems like workers' exposure to dangerous gases and the disposal of radioactive waste. Nuclear engineers and scientists from First Energy Corporation challenged the teens to produce energy safely and more efficiently. “We really have three priorities: protect the public, protect the workers, protect the plant. And then we make power on the side,” said Beaver Valley plant manager Charles McFeaters. Students visited the plant and pitched ideas for making the plant safer and environmentally friendly. Student Aubrey O’Leary was tasked with calculating radioactivity limits and how to safely dispose of a toxic element, such as chromium 48. “So, we first had to figure out the federal limit (of radioactivity) and then find ways to reduce the concentration or toxicity of the chromium 48, so it could be disposed of in the river,” O’Leary said. Some students were also challenged to produce energy more efficiently. 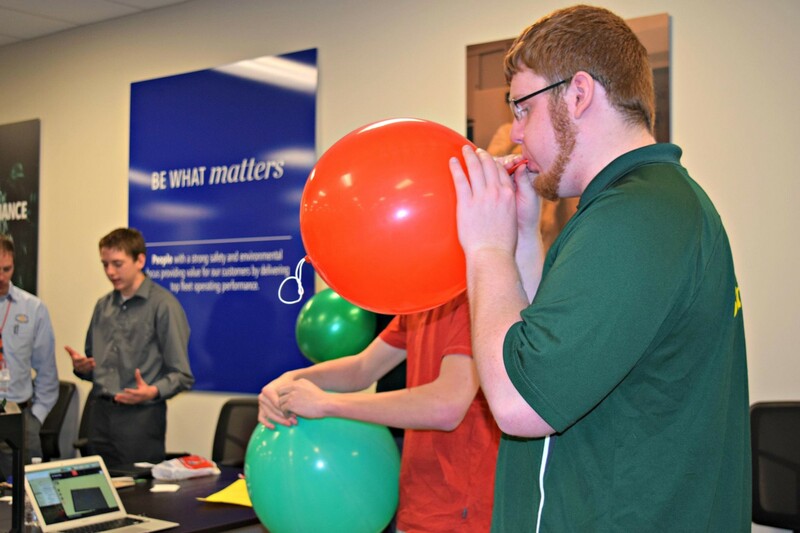 To demonstrate their ideas, Greg Bacorn and his team decided to power their plastic turbines with latex balloons. “Instead of having something to generate steam, we decided it would be a lot easier to use balloons, basically the same thing – same type of propulsion,” says Bacorn. It’s a new spin on technology that’s been used in the nuclear field for decades, but engineers here believe students will be able to improve those practices in time. “Any chance to actually get to work with a younger population and get them to pursue an engineering degree or something in science or math is very important," said nuclear engineer Carl Capen. "It basically sets them up for success in their career." The partnership was created by the Global Passport Project, an educational foundation that teams local businesses with schools districts like Blackhawk. 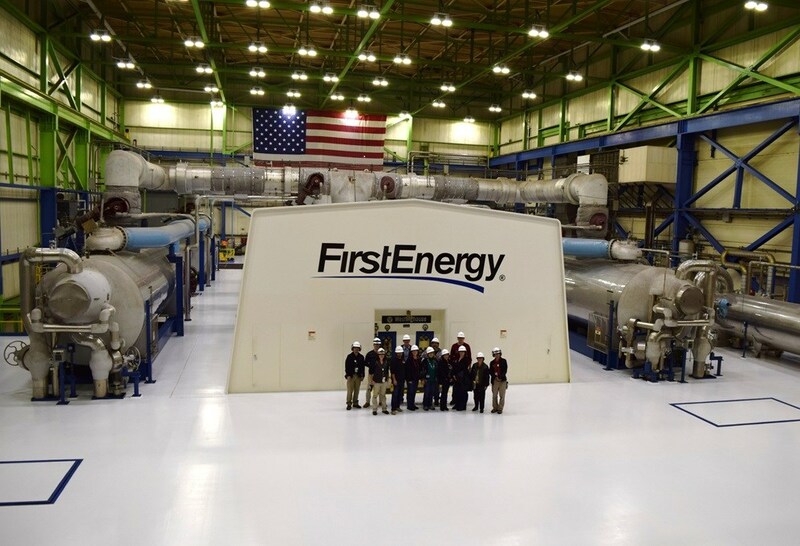 First Energy Engineers visited Blackhawk this month to talk nuclear energy, meltdowns, political sanctions and local issues as part of the annual Global Passport Program. Students competed in a 'build your own turbine' contest. It was a great day for all! The goal of our project is connecting local schools to local industries. Through this partnership students are exposed to real problems facing real companies. Students will utilize their skills and abilities in cooperation with professionals in the Science, Technology, Engineering, and Math (STEM) fields to find solutions. This project has developed a partnership with First Energy and the nearby Beaver Valley Power Station. An inside look into Nuclear Energy and how it supplies electricity as well as challenges facing the industry. This project provides students with a unique hands-on learning experience.